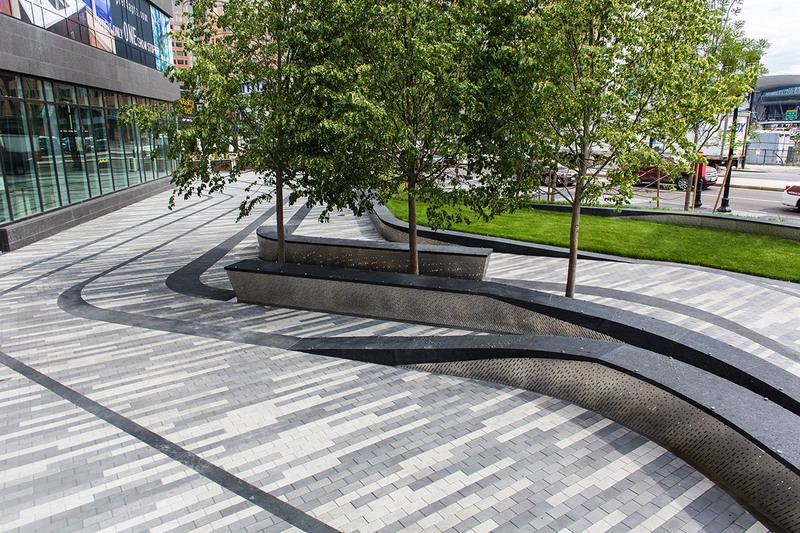 The fluid and kinetic lines of the paving are inspired by the hidden urban infrastructure below and reference the historical railway tracks that once defined the site. 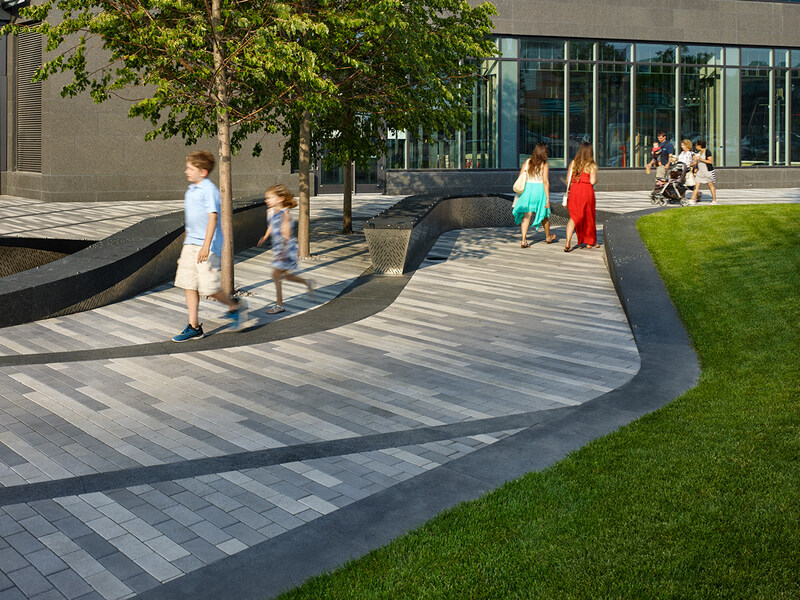 The design celebrates the layered history of the site and its relationship to Boston’s waterfront. 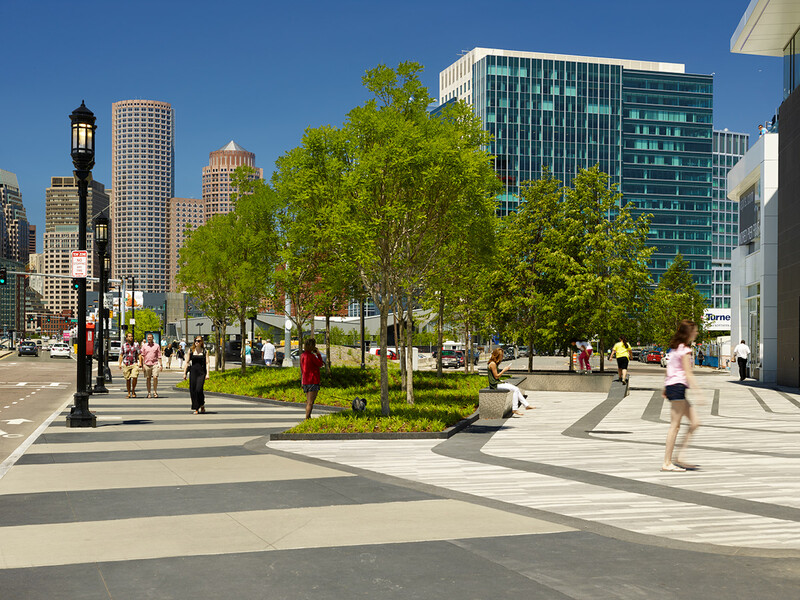 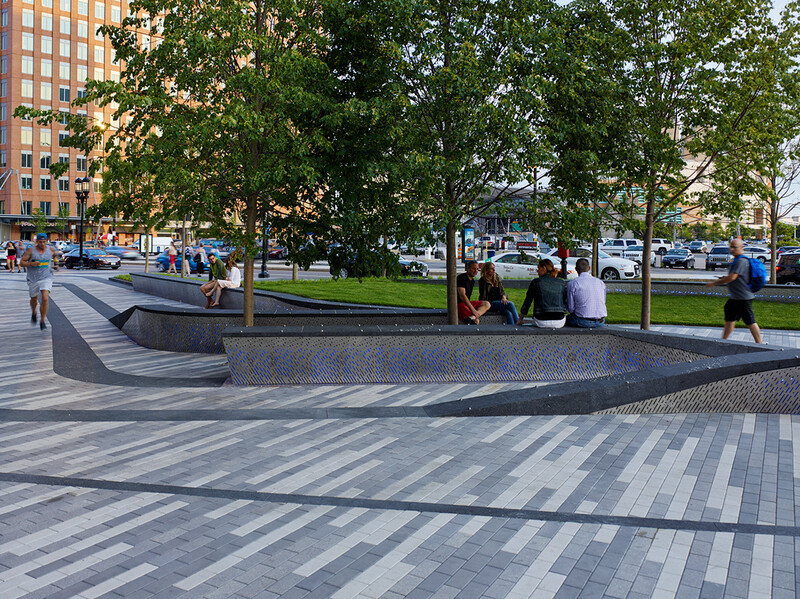 The Pier 4 Plaza is a civic plaza located in the heart of Boston’s thriving Seaport Innovation District. 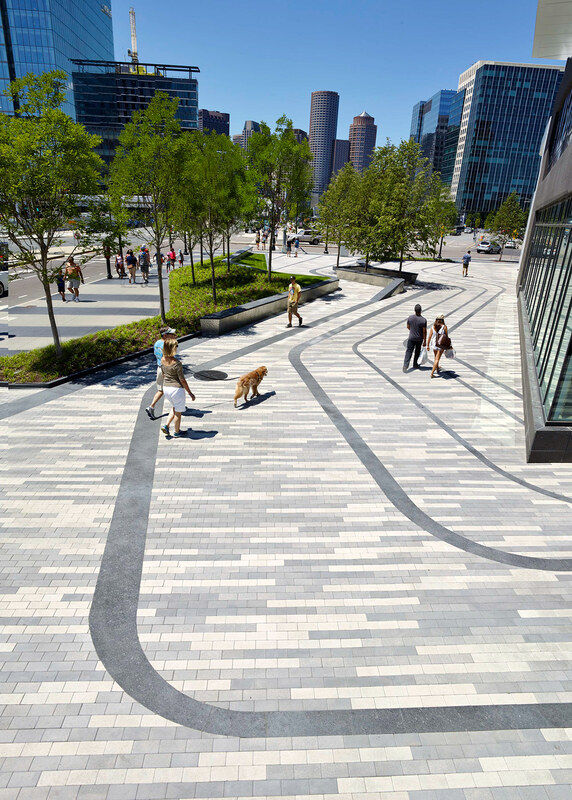 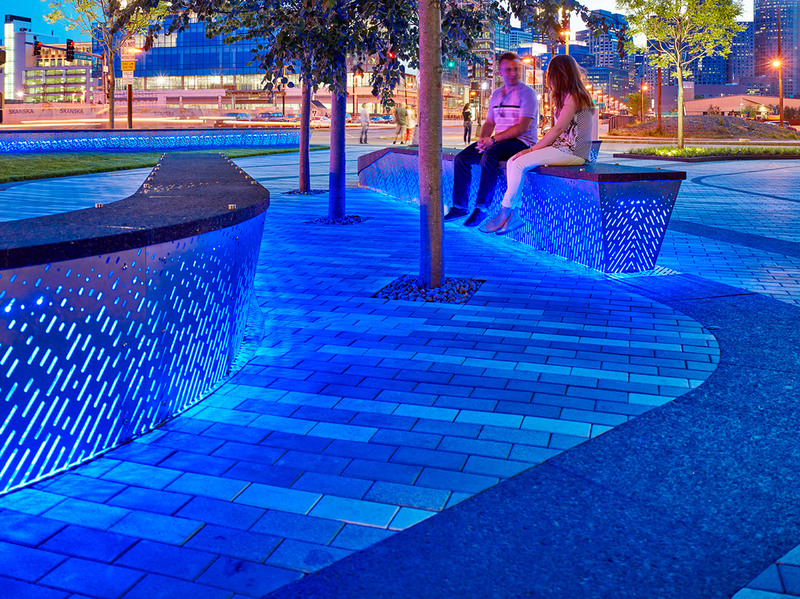 The design serves to energize and activate the pedestrian realm in this newly developed area. 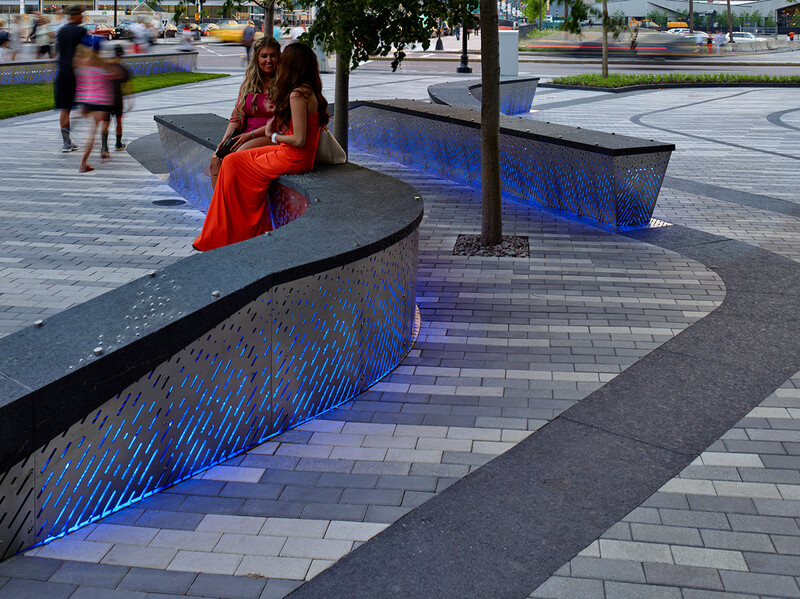 The plaza is an important connector between civic and cultural institutions, such as the Institute of Contemporary Art and The Seaport World Trade Center. 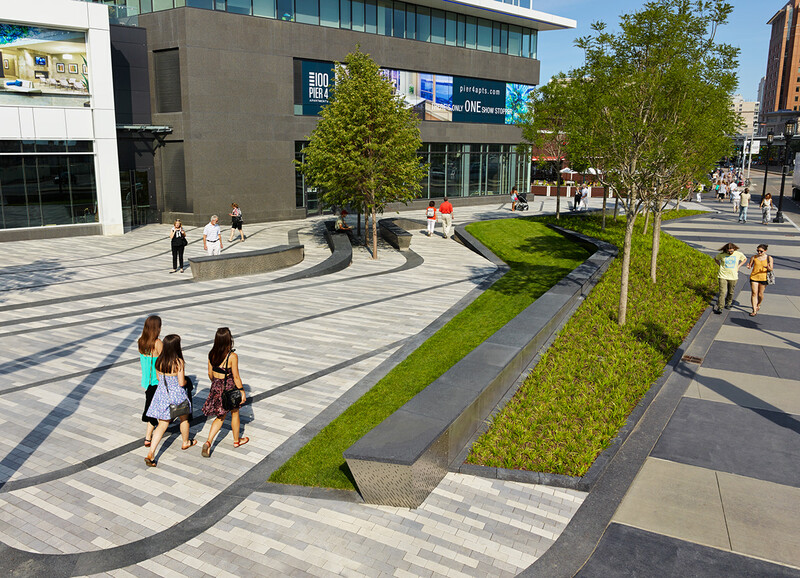 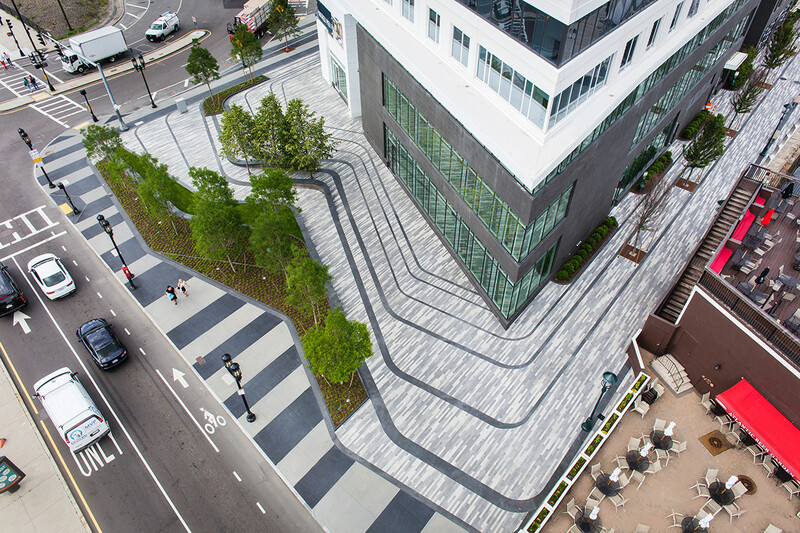 The 38,500 square feet plaza fronts Seaport Boulevard – the neighborhood’s main street. 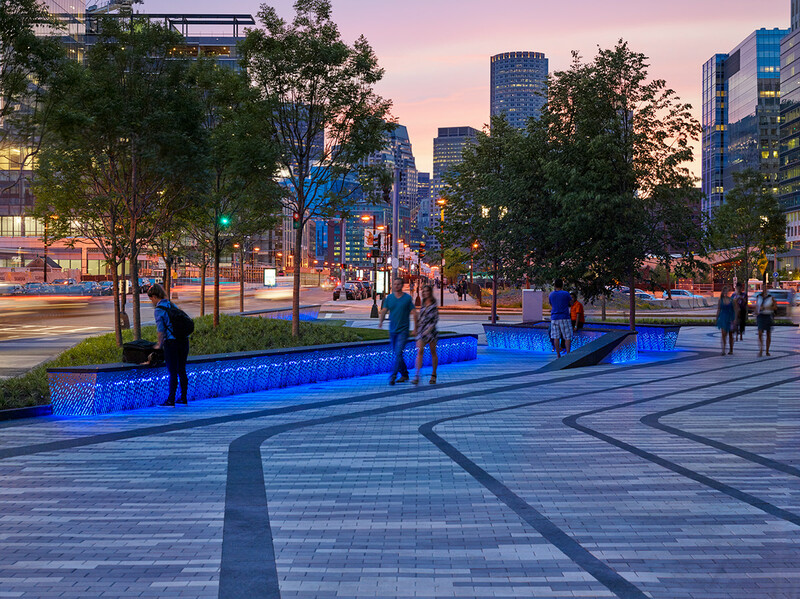 It creates a much-needed public gathering space, transforming abandoned and underutilized space into a civic gateway. 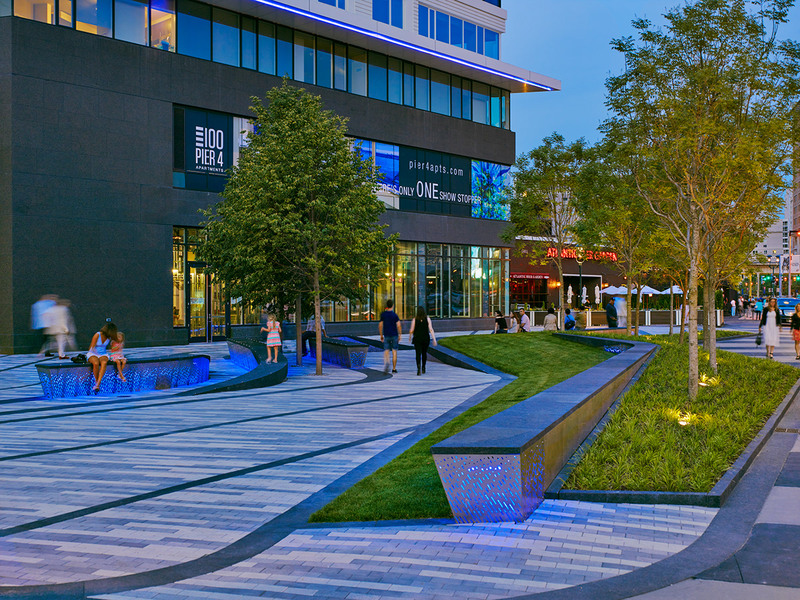 The Plaza incorporates areas for outdoor dining, performance, and gathering.